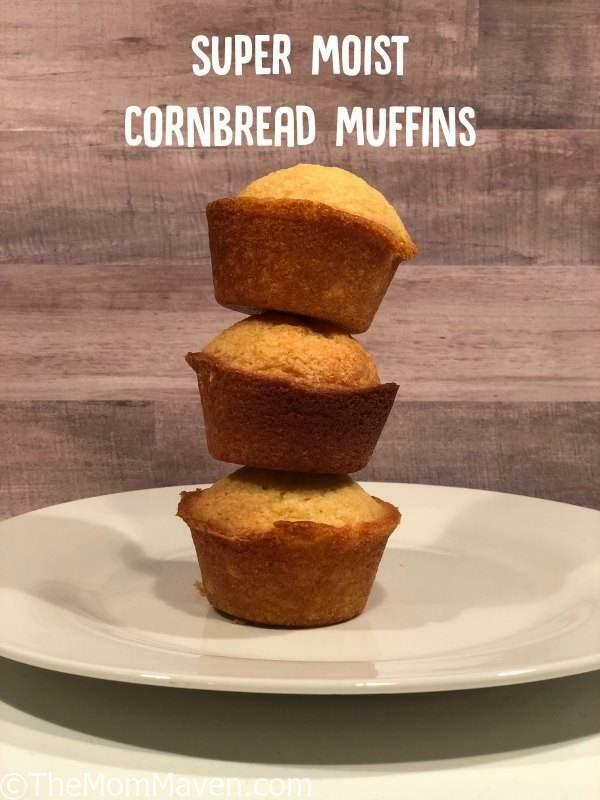 Growing up in Massachusetts I had never heard of cornbread, I moved to Florida when I was 16 and though Florida isn’t really “the south” I was introduced to lots of southern foods when I moved here. My favorite of all southern foods is cornbread. I prefer it sweet without corn kernels or jalapenos in it. 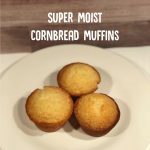 I have tried several cornbread recipes over the years and I have never found a perfect scratch recipe until now. I found this recipe in on a Disney message board stating that it was the recipe that is served at Whispering Canyon Cafe and Trails End Restaurant. When I did a Google search to see if I could authenticate the recipe I found several other cornbread recipes that all claimed to have the same origins so, I won’t make that claim here, I will tell you it is an easy-to-make moist cornbread recipe that I find perfectly sweet. Savannah and I whipped these up on a Saturday morning. This recipe makes 12 muffins or one 9×13″ pan of cornbread. I prefer muffins because they are more grab-and-go. My favorite of all southern foods is cornbread. I prefer sweet, moist cornbread without corn kernels or jalapenos in it. 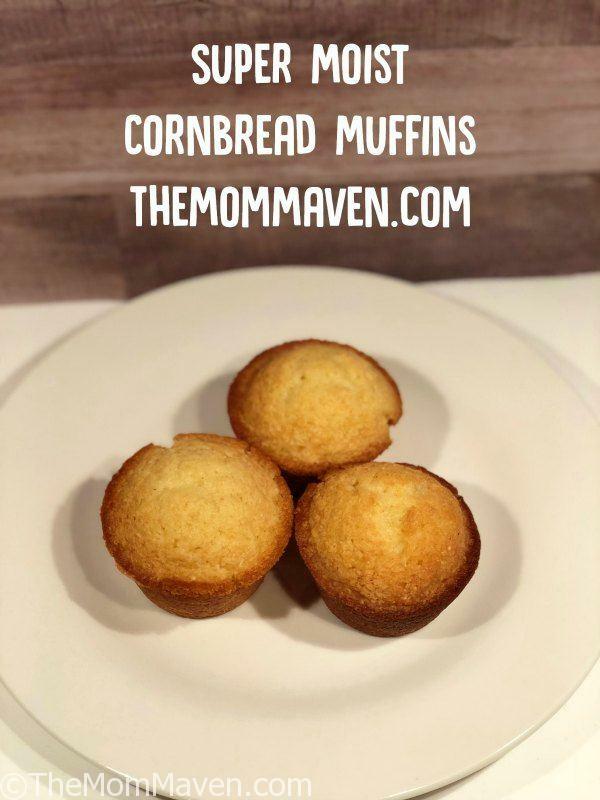 I have tried several cornbread recipes over the years and I have never found a perfect scratch recipe until now. Spray a 9x13" pan or a 12 cup muffin tin with non-stick spray. In a large mixing bowl blend together the corn meal, flour, salt, baking powder, and sugar. In a medium mixing bowl combine the oil, eggs, and milk. Slowly add the wet ingredients to the dry ingredients while you are continually mixing them together. Mix until combined but do not over mix. Pour the batter into the pan. Carefully drop pan on counter to release any air bubbles. Bake for 20-25 minutes, until golden brown. Serve warm with butter or honey. I hope you enjoy this recipe and all of the easy recipes I share here on The Mom Maven. I hope you share them on your social networks. I just ask that you not copy and share the entire recipe with photos. Please use the sharing buttons below and share the link to this post. Thanks!